Cyborg Acquisition, a 3M subsidiary, and Ceradyne announced today that they have entered into a definitive agreement for 3M’s acquisition of Ceradyne. When this was first announced, there was some curiosity as to whether the company that has brought us the yellow post-it note was also in the business of “cybernetic organism” or any other biological / mechanical constructs. However, further research did not turn up any information to support this premise, nor was there any connection to “skynet”. Through its wholly owned subsidiary, Cyborg Acquisition, 3M Corporation and Ceradyne, Inc. announced today that they have entered into a definitive agreement for 3M’s acquisition of Ceradyne, Inc. for $35.00 per share. The proposed transaction has an aggregate value of approximately $860 million, or approximately $670 million net of cash, cash equivalents, short-term investments and debt acquired. Ceradyne is a worldwide leader in the development and production of advanced technical ceramics for demanding applications in the automotive, oil and gas, solar, industrial, electronics and defense industries. The unique characteristics of advanced technical ceramics offer significant advantages over traditional materials such as metals and plastics. The combination of Ceradyne and 3M will enable new technologies and innovation for uniquely tailored materials requiring advanced ceramics. 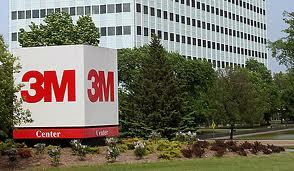 Ceradyne will join the 3M Energy and Advanced Materials Division within 3M’s Industrial and Transportation Business. The 3M Energy and Advanced Materials Division provides valued materials for lightweight solutions and materials for performance in harsh environments to customers in a broad array of growth industries. Related to this topic – ” Cyborg® ” was a registered trademark of “ISAAC Cyborg Corporation” which produced peripherals and software for IBM PCs and Apple Macs in the mid-1980s. A leader for its time, the ISAAC data acquisition card included 16-bit DAC (Digital to Analog Converters) running at a maximum of 200KHz.